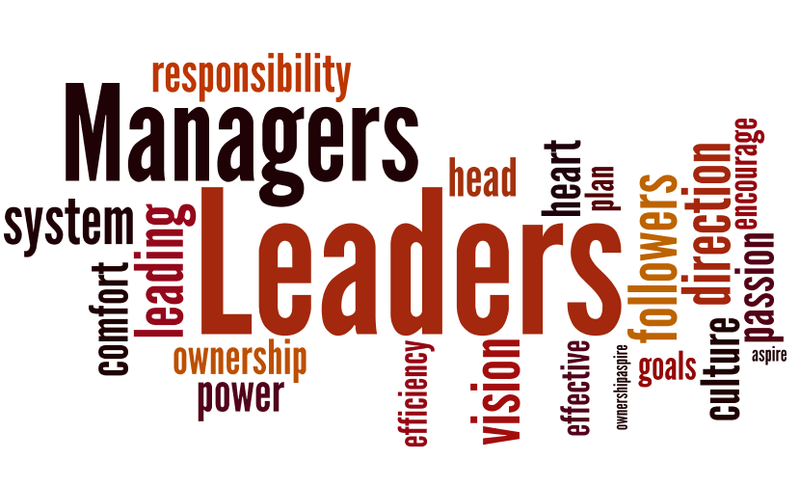 In the past, the differences between leaders and managers were more well defined. The leader’s goals were results and vision. The manager’s goals were efficiencies and people production results. In today’s world, the economy value comes from “people’s knowledge.” The leaders and managers today need to find ways to inspire and engage employees. They both, at different levels, need to be able to answer the “why” questions and, in addition, need to be able to direct the “how” questions. So today’s leaders and managers need to focus and become competent on how to motivate others not just to maximize efficiencies. They must lead other and recognize and utilize the specific strengths of others. To be successful, as a leader or manager, the ability to work with others’ strengths and assist them in being successful becomes the talent necessary for success. The leaves are turning colors, the air is cooler, and the lights are lit on Friday nights. It’s my favorite time of year. Football season is finally here! Wait what? The Cubs? The Cubs are in the postseason? The Cubs have not played baseball in October since 2008, when they were swept by the Dodgers in the division series. 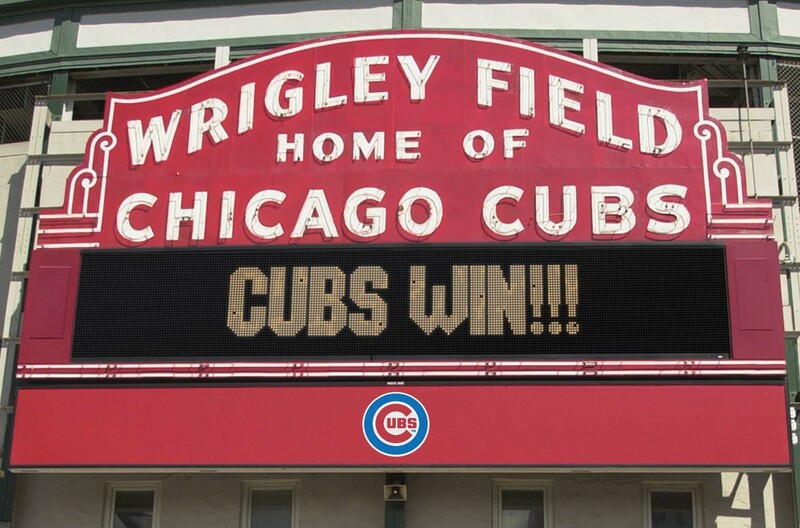 The Chicago Cubs last won the World Series in 1908. As a lifelong Cubs fan, I sometimes wonder if I will ever have the chance to watch the Cubs in the World Series, let alone see them win one. The Cubs have been close over the years, with the most recent chance coming in 2003…when a fan named Steve Bartman deflected a foul ball in the 8th inning of Game 6 with the Cubs holding a 3-0 lead at the time. From there, the Cubs proceeded to lose Game 6 and Game 7, and have not been that close to a World Series since. This year’s Chicago Cubs team looks to change that. The team is full of young talented players who are hungry and eager to bring a World Series to Chicago. Most people (including myself) thought that the Cubs were at least one year, maybe two years away from competing in or reaching the postseason. For the first time in years, the Cubs were active in Free Agency last year, and they also hired a new manager named Joe Maddon. Most of the experts say the Cubs had a good offseason last winter; the team signed a former Ace pitcher named Jon Lester and added some veteran leadership to guide the young players. However, I would argue that the Cubs biggest offseason signing was that of Manager, Joe Maddon. Joe Maddon brings a type of energy that young players flock to. He is not afraid to challenge the status quo; for example having the pitcher bat 8th instead of 9th in a National League lineup, or benching a three-time All Star Shortstop. Joe challenges his players, but also allows his players to be themselves, letting their personality shine while at work. Although this way has proven positive for the Chicago cubs, it is important to realize that this type of approach doesn’t work without accountability. Accountability is the key to Joe’s approach; accountability with the players, accountability with the coaches, and accountability with the City of Chicago. Accountability is the key in any line of work. Much like Joe Maddon, the Partner Group at McGowen, Hurst, Clark & Smith challenges their employees, while letting each employee’s personality shine while at work. The firm’s culture encourages employees to be themselves, but also pushes employees to step out of their comfort zone. Whether it’s volunteering for a new project, joining a leadership academy, or writing a blog for the firm’s website. The firm holds their employees accountable, yet also provides the flexibility for their employees to be themselves and succeed! The approach of MHC&S is very similar to what Joe Maddon has done for the Chicago Cubs. Similar to the Cubs of 2015, MHCS has been successful over the years with their approach providing a fun-filled work atmosphere, proven to result in a very successful firm. Who knows, maybe the movie Back to The Future‘s prediction of a Cubs World Series in 2015, is correct! You are currently viewing the archives for October, 2015 at McGowen, Hurst, Clark & Smith.